All non-mainland locations. ANY COMPATIBILITY GIVEN SHOULD BE USED AS A VERY GOOD GUIDE 'ONLY.'. during office hours or over the counter if collecting an item in person. 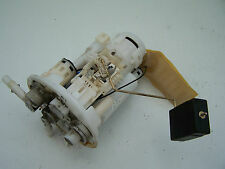 SUZUKI ALTO MK4 2002-2007 FUEL PUMP (Removed from a right hand drive car). THIS PETROL PUMP IS FROM A YEAR 2005 SUZUKI ALTO GL 5 DOOR HATCHBACK 1.1 PETROL ( Engine Code F10D) 5 SPEED MANUAL. VEHICLE: SUZUKI ALTO. Dvla approved End of life vehicle centre. LISTED ITEM: IN TANK FUEL PUMP. Fits years 2003 to 2006. PART NO: 15100M 79GA1. ITEM MAY SHOW SIGNS OF WEAR & TEAR. Howkins Motor Spares (Leicester). SUZUKI ALTO 03 reg petrol pump. SUZUKI ALTO 03 reg car petrol pump out of tank, in good working order. (SUZUKI ALTO Fuel Pump 0000332696. Other Details: Mk5 1.0 Petrol Sender and Pump Assy 09-15. This item was removed from a 2014 vehicle. Jersey, Guernsey, Scilly Isles) as well as for the Scottish Highlands. (SUZUKI ALTO Fuel Pump 0000286438. Other Details: Mk 4 03-06. In Tank Petrol Fuel Pump. This item was removed from a 2004 vehicle. Jersey, Guernsey, Scilly Isles) as well as for the Scottish Highlands. Other Details: Mk5 1.0 Petrol Sender and Pump Assy 09-15 year electric fuel pump 1.0 petrol 3-pipes denso HA101962-7380 15100-68KB0. SUZUKI ALTO Fuel Pump 0000345212. This item was removed from a 2012 vehicle. 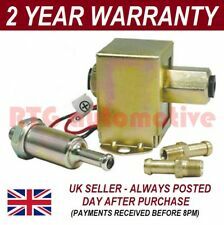 Other Details: Mk 4 1.0 F10D PETROL FUEL PUMP 4-PIPES 4-PIN DENSO 03-06 YEAR. 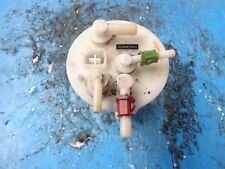 SUZUKI ALTO Fuel Pump 0000295234. This item was removed from a 2005 vehicle. (Other Details: Mk 4 1.1 PETROL 4-PIPES 4-PIN PLUG DENSO HA101961-6571 03-06 YEAR. SUZUKI ALTO Fuel Pump 0000284690. This item was removed from a 2004 vehicle. Jersey, Guernsey, Scilly Isles) as well as for the Scottish Highlands. 2013 SUZUKI ALTO SZ4 5 DOOR 1.0 PETROL AUTO. REMOVED FROM A 2013 SUZUKI ALTO SZ4 5 DOOR WITH A 1.0 PETROL ENGINE & AUTOMATIC GEARBOX. FUEL SENDING UNIT. PART NUMBER : 172022377R / 201130710064. CHANNEL ISLANDS. (SUZUKI ALTO Fuel Pump 0000357006. 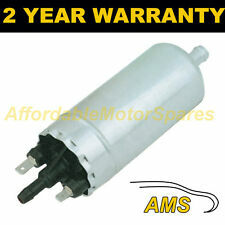 Other Details: Mk5 1.0 Petrol Sender and Pump Assy 09-15 Mk5 1.0 Petrol Fuel Pump And Sender Denso - 15100-68KA0. This item was removed from a 2011 vehicle. Jersey, Guernsey, Scilly Isles) as well as for the Scottish Highlands. Suzuki Alto Sz2 #6. All gearboxes must be filled with new oil, to the correct level upon installation. Wakefields Friendly Professional Vehicle Breakers. This part has be been removed from. Highlands and Islands. Suzuki Alto. All gearboxes must be filled with new oil, to the correct level upon installation. Wakefields Friendly Professional Vehicle Breakers. This part has be been removed from. Highlands and Islands. SUZUKI ALTO SZ. All gearboxes must be filled with new oil, to the correct level upon installation. Wakefields Friendly Professional Vehicle Breakers. This part has be been removed from. Highlands and Islands. 2012 Suzuki Alto 1.0 petrol. Year: 2012 Fuel Type: Petrol. This has been taken from a 2012 ALTO but may suit other models. Model: ALTO Door Plan: 5 Door. Make: SUZUKI Transmission: 5 Speed. Suzuki ALTO I (SS80) 0.8 (SS80) 29KW 39HP 1982.06 - 1984.08. Suzuki ALTO II (EC) 0.8 (SB308/CA) 29KW 39HP 1986.01 - 1988.12. SUZUKI: 1510078131. SUZUKI: 15100-78140. SUZUKI: 15100-50A00. Part numbers are provided for reference purposes only. FOR SUZUKI ALTO II. Fitting Position:in fuel tank. This is an original quality part manufactured by Bosch. Vehicle compatibility. Part specifications. SUZUKI ALTO 2014 REG CAR PETROL PUMP OUT OF THE TANK. SUZUKI ALTO PETROL PUMP OUT OF THE TANK ITS COMPLETE AS TAKEN OFF THE CAR AND ITS IN GOOD WORKING ORDER.If you send message please don’t leave any contact details. PART NUMBER 15100M79GA1 / HA101961-6571. 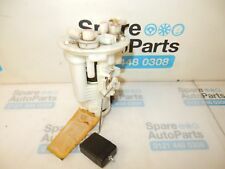 SUZUKI ALTO 2003-2006 1.1 16v PETROL FUEL PUMP. IF THERE ARE PART NUMBERS IN THE ADVERT, THEY'RE THERE FOR A REASON. THIS MUST BE CHECKED PHYSICALLY AGAINST THE PART YOU ARE REPLACING. Make sure that you're ordering the correct parts for your vehicle. SUZUKI ALTO 06 reg car electric fuel pump. Electric fuel pump Suzuki Alto (GF) (2009 - present). Model: Alto (GF) (2009 - present). Enquire about the possibilities at our sales team. Model type: Hatchback 1.0 12V (K10B). Body type: Hatchback 5 drs. 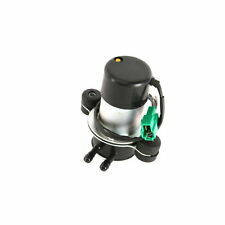 (SUZUKI ALTO Fuel Pump 0000299088. Other Details: Mk 4 03-06. 1.1 Petrol. 4 Pin Plug. This item was removed from a 2004 vehicle. Jersey, Guernsey, Scilly Isles) as well as for the Scottish Highlands. MODEL -SUZUKI ALTO MK7. ENGINE -K10BN 1.0 PETROL 67BHP. TRIM CODE -. GEARBOX-5 SPEED MANUAL YC5. Highlands, Ireland/Northern Ireland / Scottish islands/ Scilly Isles/ Isle of Man / Isle of Wight. PERODUA 2310097212000, 23100B2010000, 2321097210000, 23210BZ040. SUZUKI ALTO (FF) 1.1 (RF410) Hatchback Petrol 09/2004 12/2008 FWD 16 63 46. MARUTI ALTO 0.8 Hatchback Petrol 09/2000 12/2006 FWD 12 48 35. Fits:-Suzuki Alto 1.1cc 16v Petrol models made from:-2000 to 2004 with Part Number:- 15100M79GA1. For Sale:-Suzuki Alto 1.1cc 16v Fuel Pump with Sender Unit. High quality products at amazing prices. neutral or. 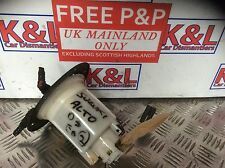 ALTO 2009 -2015 Mk5 1.0 Petrol Sender and Pump Assy. 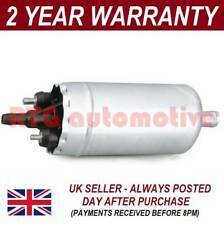 Item Specifics:2009-2015 - MK5 - 1.0 PETROL - FUEL PUMP - PART NO 15100-68KA0. Part:Fuel Pump. This Fuel Pump was removed from a2011 car and has been fully inspected. SUZUKI ALTO 2011 1.0 12V PETROL IN TANK FUEL PUMP. IF THERE ARE PART NUMBERS IN THE ADVERT, THEY'RE THERE FOR A REASON. THIS MUST BE CHECKED PHYSICALLY AGAINST THE PART YOU ARE REPLACING. IF IT DOES NOT MATCH THEN IT IS MORE THAN LIKELY WILL NOT WORK ON YOUR CAR. VEHICLE SUITABILITY # SUZUKI ALTO SB305. 5L F5A SOHC Carb 3cyl 3sp Auto Van FWD [01/87 - 12/88]. SUZUKI ALTO SB305. 5L F5A SOHC Carb 3cyl 3sp Auto Van RWD [01/86 - 12/86]. NECESSARY INFORMATION : Dont forget to provide us the the vehicle infomation, if you need assistance in buying the part.